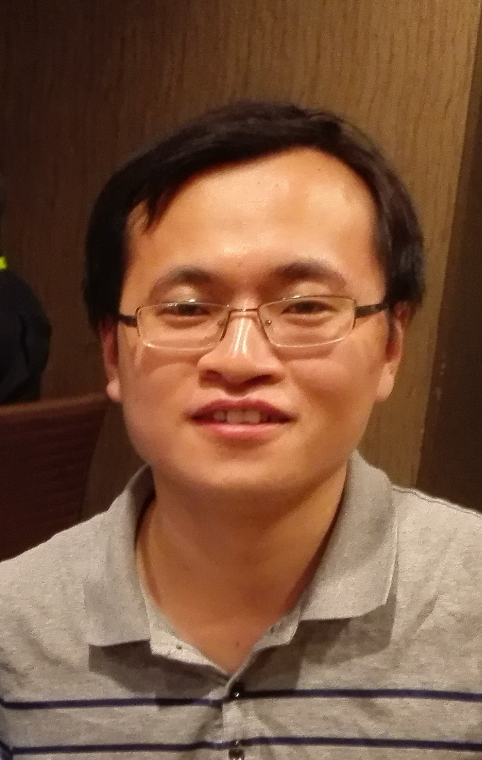 I am a Ph.D student (CV) of IRC, Shandong University, supervised by Prof. Baoquan Chen. My research interests are Computer Graphics, Intelligent Manufacture. My Ph.D study started since 2014.09. Currently, I am in my last year of PhD study. I received Master's and Bachelor's degree in School of Computer Science and Technology and School of Software at Shandong University in 2014 and 2011, respectively. My email address is haisenzhao at gmail dot com. Welcome to communicate with me! Haisen Zhao, Hao Zhang, Shiqing Xin, Yuanmin Deng, Changhe Tu, Wenping Wang, Daniel Cohen-Or, Baoquan Chen, DSCarver: Decompose-and-Spiral-Carve for Subtractive Manufacturing, Conditionly accepted to ACM SIGGRAPH 2018. Haisen Zhao, Fanglin Gu, Qixing Huang, J. A. Garcia Galicia, Yong Chen, Changhe Tu, Bedrich Benes, Hao Zhang, Daniel Cohen-Or, Baoquan Chen, Connected Fermat Spirals for Layered Fabrication, Conditionly accepted to ACM SIGGRAPH 2016. Haisen Zhao, Lin Lu, Yuan Wei, Dani Lischinski, Andrei Sharf, Daniel Cohen-Or, Baoquan Chen, Printed Perforated Lampshades for Continuous Projective Images, ACM Transactions on Graphics 2016. Lin Lu, Andrei Sharf, Haisen Zhao, Yuan Wei, Qingnan Fan, Xuelin Chen, Yann Savoye, Changhe Tu, Daniel Cohen-Or, Baoquan Chen, Build-to-Last: Strength to Weight 3D Printed Objects, ACM Transactions on Graphics (Proceedings of SIGGRAPH 2014). Computer Science and Technology, Shandong University, No.72, Binhai Road, Qingdao.